The Jumping Plant Louse, Trichochermes walkeri, causes the leaf margin to curl and a gall to be formed on the leaves of Purging Buckthorn. The gall is more likely to be seen than the adult plant louse. Any area where Buckthorn is present. 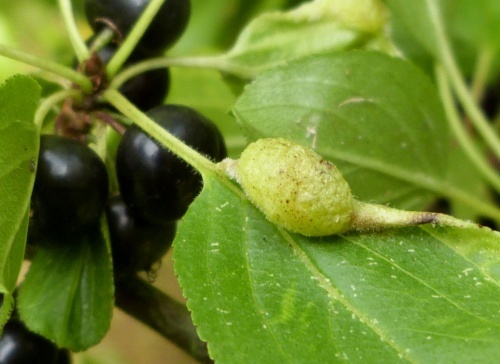 Not scarce but rather local and limited by the range of the host plant Purging Buckthorn in Britain.